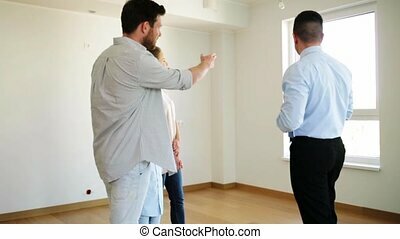 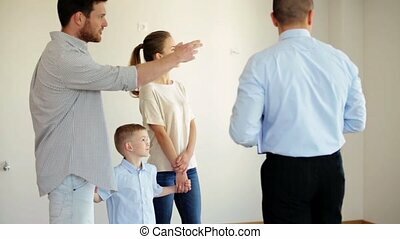 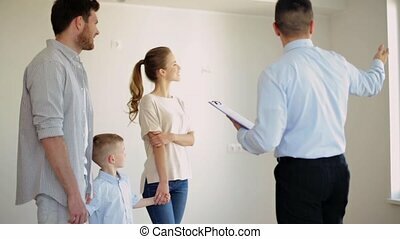 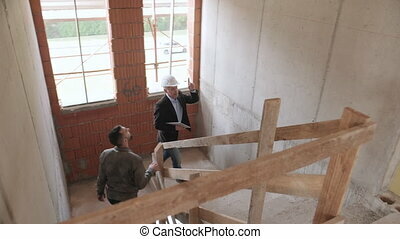 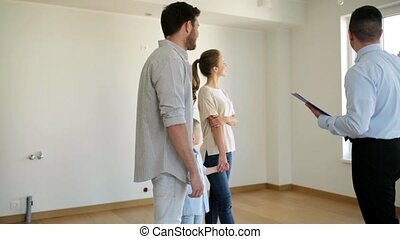 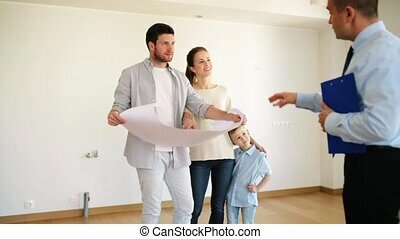 Realtor showing new office room to customers. 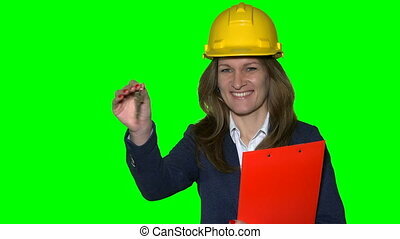 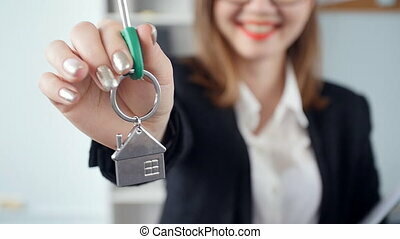 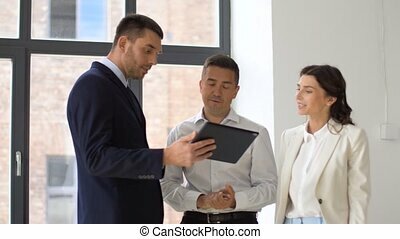 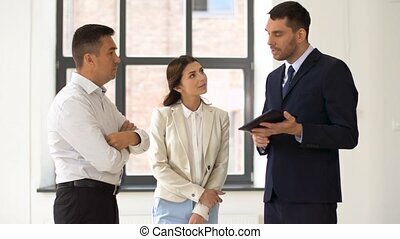 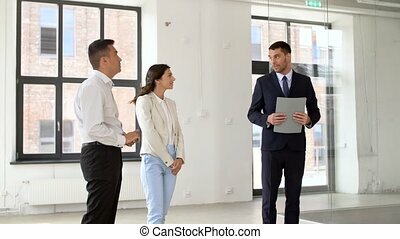 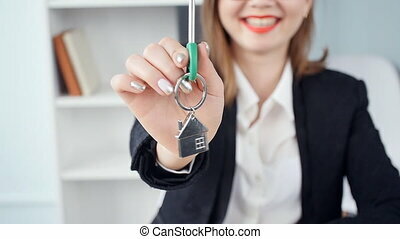 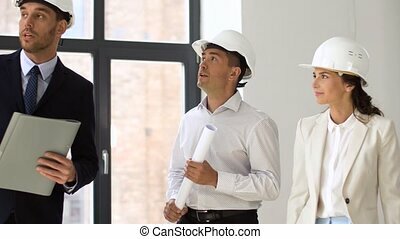 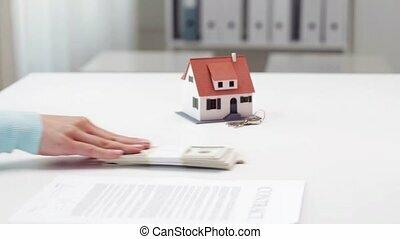 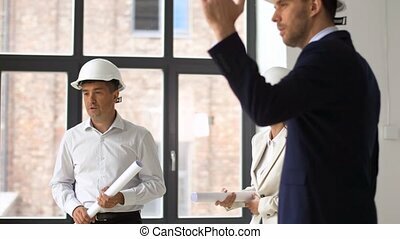 Real estate business, sale and people concept - realtor with folder showing new office room to customers. 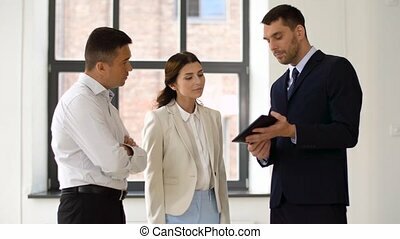 The young female HR manager is showing the office of financial company to the new male employee. 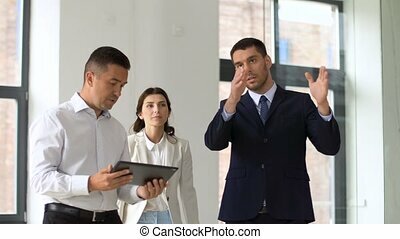 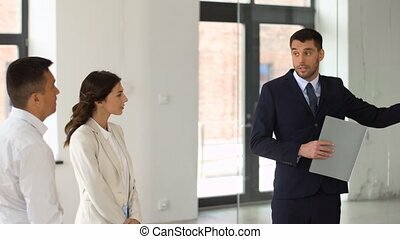 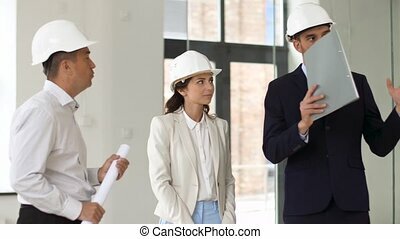 The businessman and woman with red folder are going throught the long corridor with glass walls of rooms and the lady is explaining the locations.